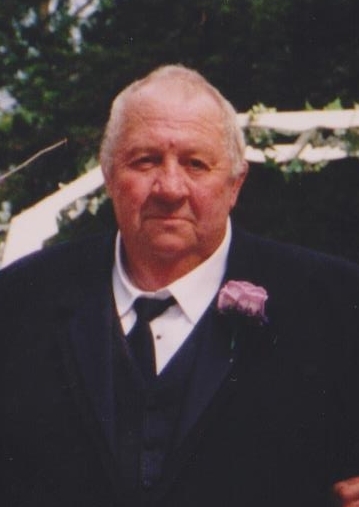 Dale “Curly” Leonard, age 82, of Spring Valley died Friday August 31, 2018 at the Ostrander Care Center. Funeral services for Dale Leonard will be held 11:00 A.M. Saturday September 8, 2018 at the Our Saviors Lutheran Church with Rev Mark Van House officiating. Visitation will be held from 5:00 – 7:00 P.M. Friday September 7, 2018 at the Hindt Funeral Home in Spring Valley and will continue for 1 hr prior to the service at the church on Saturday. Burial will be in the Etna Cemetery. Dale Patrick Leonard was born May 8, 1936 in Cylinder, Iowa to Walt and Edna (Rath) Leonard. On May 24, 1957 he was united in marriage to Beatrice Westphal at the Methodist church in Spring Valley. After Dale and Beatrice were married, they lived in Spring Valley for 12 years before moving to Cloquet, MN, Sulfur, LA, and Lakeland, FL before moving back to Spring Valley where he worked as a truck driver. Dale is survived by his children: Wanda (Al) Gissendanner of Lakeland, FL, Kathy (Eric) Chartier of Lakeland, FL, James Leonard of Austin, MN, Charles (Sigrid) Leonard of Tacoma, WA, Deborah Leonard of Lakeland, FL, Karla Leonard of Spring Valley, David Leonard of Spring Valley, and Jeff Leonard of Preston; 13 grandchildren; 20 great grandchildren; 2 great-great grandchildren; siblings: Joann Malkmus of Humboldt, IA, and Duane Leonard of Fountain Hills, AZ; and many nieces and nephews. He was preceded in death by his parents, his wife, and 3 brothers.